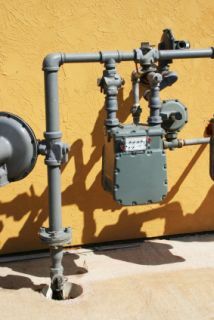 Older homes could still have old gas lines that must be replaced as soon as possible. The utility gas line explosion in California in 2010 resulted in a huge fireball, and several homes were destroyed. An old gas line in just one home could do the same type of damage to that home. Gas line replacement service replaces all the pipes and components involved in your private gas lines or just a section that needs it. The utility company is responsible for a certain portion of the lines that lead up to the home, but from there it's the homeowner's responsibility. For gas line replacement service in the Queens area, call our licensed gas plumbers at Bluewater Plumbing, Heating, & Air Conditioning. Consolidated Edison and National Grid require an application and inspection to turn on or restore gas service. This is to protect the homeowner and the community. Other specific requirements must be met by the gas plumber doing the work and the homeowner. Municipalities also enforce permitting and inspection for gas line replacements, repairs, and new installations. Only a licensed gas plumber can work on gas systems. Gas is dangerous and the system should not be tampered with by a homeowner or unlicensed individual. Not all plumbers are gas plumbers. Ask to see their license. It will state that they are a gas plumber. There is no single test an untrained and unequipped person can do to determine if the gas lines need replacement. Our professional gas plumbers can inspect your gas lines, test them, and advise you on replacement. Only a section may need to be replaced or the entire gas line. Our highly qualified technicians can accommodate any need you have. It is best to install a carbon monoxide detector to ensure gas leaks are found as quickly as possible inside a home. It's important to choose a detector that detects down to 35 ppm (parts per million) and not the average 70 ppm. A firefighter won't enter an area without breathing equipment if the level is higher than 35 ppm because it is unsafe to breathe. A gas leak test performed by our gas plumber will uncover any areas of pipe that need to be replaced. We use advanced tools that accurately detect gas leaks, even underground. 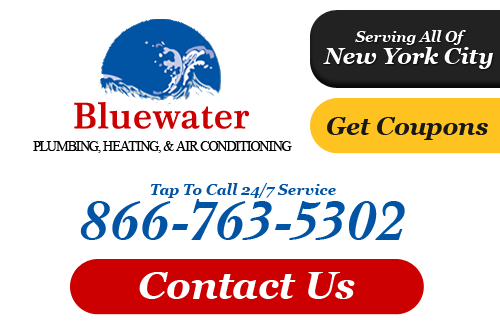 If you need gas line replacement in Queens, please call Bluewater Plumbing, Heating, & Air Conditioning at 866-763-5302 or complete our online request form.